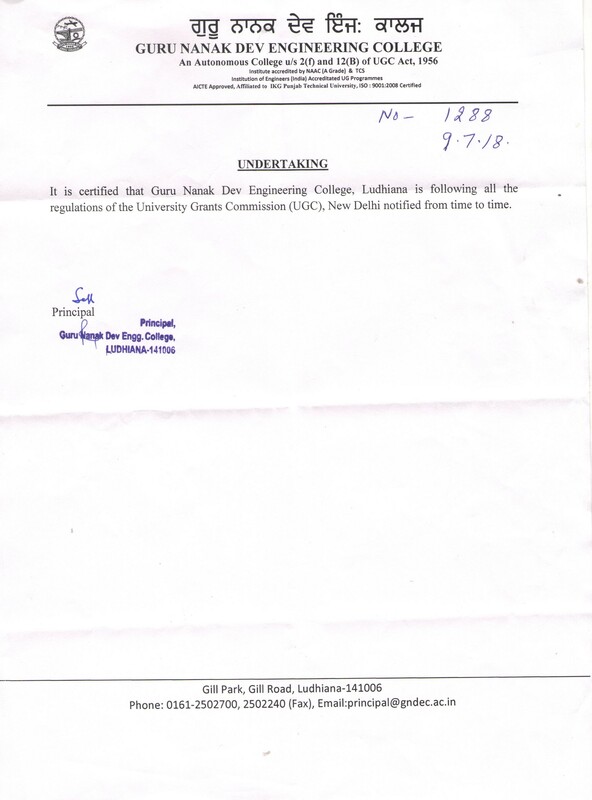 It is indeed a matter of great pride that Guru Nanak Dev Engineering College, Ludhiana has been declared as an Autonomus College from the Academic year 2012-13 by University Grants Commission, New Delhi vide letter no. 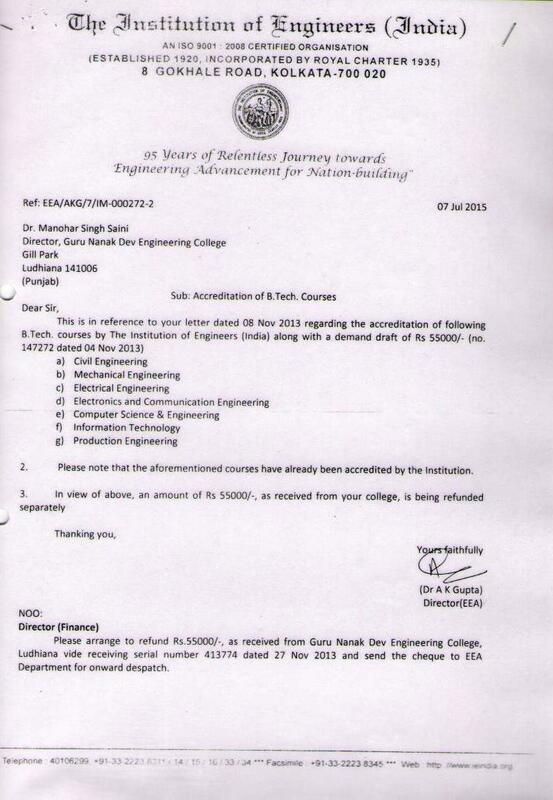 F.22-1/2012(AC) dated 17.8.2012 and further extender for five years upto 2022-23 vide letter no. F.22-1/2017(AC) dated 12.2.2019. 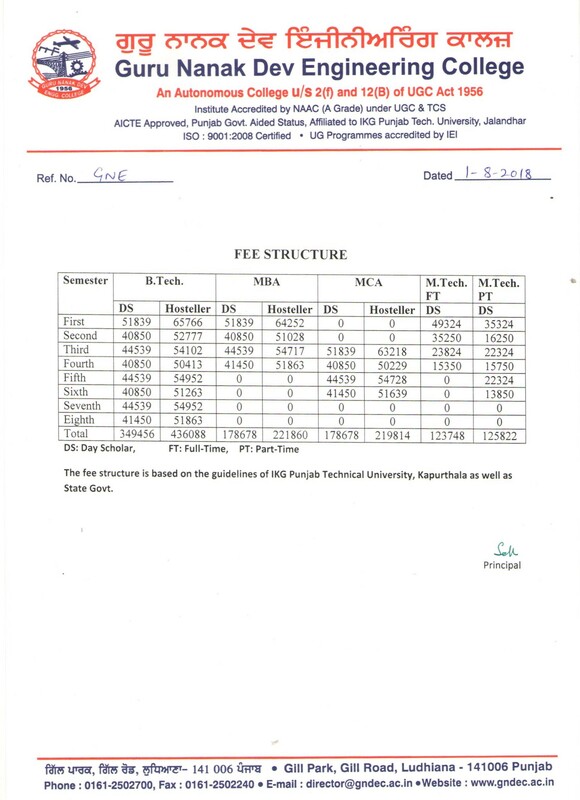 It is also important to note that Guru Nanak Dev Engg.College is the First Engineering College of Punjab, to be declared as an “Autonomous Engineering College” by University Grants Commission. This has become possible due to best efforts of Management, Students and Staff of this institution.